Google Translate is a powerful and Free tool for doing translation of any text and webpage online. We can do the translation from here. Using this tool is very simple and easy. Either we can enter the text to be translated or the url of the webpage. And, we can upload the document also. Very cool feature is "Detect language" feature. Even if you don't know the source language of the text, just select "Detect language" in the "Translate From" drop-down list. This tool will automatically detect the source language. Interestingly it will detect the language while typing the text itself. For example, immediately after typing "et", this tool has detected the source language as French. From technical perspective, definitely this tool is a powerful tool. Now, my question is whether translation from this tool is reliable or not?. I am planning to use this tool more for our future web2.0 projects. So, I started testing this tool by inputting some text in different languages and translated them back to the same language. For example, first I translated the text "Why Google should stay in China" from English to Chinese. I got below text as translation output. Again, I translated this Chinese text into English. And, I got the text "Why does Google want to stay in China"
i-e The original text "Why Google should stay in China" is changed into "Why does Google want to stay in China" during two translations. i-e The text is completely changed to give the opposite meaning after translation. I don't know whether this change happened during English-Chinease translation or Chinese-English translation. If you know Chinese you can specify it thro' comment section. Anyway, I am just thinking whether it is reliable or not. If you have used Google translate previously/frequently, you can share your experience. This post will explain the steps for converting XLSX files into XLS file. XLSX is the format of spreadsheet files created by Microsoft Office 2007. XLS is the format of spreadsheets files created by older versions of Microsoft Office. We can follow below steps for for converting XLSX file into XLS. - Download the Microsoft Office Compatibility Pack for Word, Excel, and PowerPoint File Formats from here. -Double click the FileFormatConverters.exe file, and complete the installation. - Right click on the .XLSX file that needs to be converted, and click on "Open with". - Choose ‘Microsoft Open XML Converter’ and give name for the XLS file. I have added Google Talk Chatback badge in the sidebar of this blog. Using this badge anyone can chat with me if I am available online. (i-e logged in to google talk). Anyway I prefer to get email (rajamanickam.a@gmail.com) instead of using this live chat. So, send your feedback/suggestions/comments about this blog thro' email. This chat badge can be used for contacting me to report any issue (e.g broken link, page loading problem, page alignment issue) which needs my immediate attention. The important feature of this badge is, users can chat as Guest without having Google account. (i-e No need to login for doing chat from this blog). Code for putting this badge can be obtained from here. (You need to login with your google account for reaching this page). Mysql - Use utf8 for supporting multibyte languags. Some languages such as Chinese will use many bytes to store single character. Latin1 is the default charset in mysql. Latin1 won't support the multibyte characters. i-e if we store the chinese characters in mysql server with the default charset, the characters won't appear correctly. So, if we are going to store multibyte characters in mysql database we need to specify the charset as utf8. If we need to migrate the existing latin1 database into utf8 database we can follow any one of the below approaches. - We can use sql such as "ALTER DATABASE DEFAULT CHARSET=utf8" to migrate the database charset. But in this case, the existing table will continue to use latin1 only. So we need to again alter each table and the required columns. -Or, we can just export the latin1 database into a file and then import it after replacing "DEFAULT CHARSET=latin1" into "DEFAULT CHARSET=utf8". Migrate into utf8 charset if only it is required. Because, it will occupy 3 bytes for storing single character. And, case insensitive search query is difficult with utf8. And, we need to make some required changes in sql queries also. For example, "select * from table_name1 where column_name1='value1'" won't work correctly in UTF8 charset. Instead of this sql we should use "select * from table_name1 where column_name1 like 'value1'"
i-e "=" should be replaced with "like". This article will give more details about migrating mysql latin1 charset into utf8. 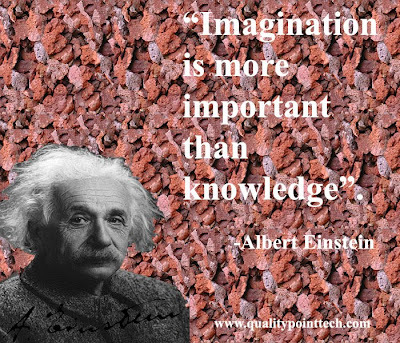 Today ( 14, March) is the Birthday of Albert Einstein who is known as Father of Modern Physics. -He was born on 14 March 1879 in German. -He started his career in Swiss as Patent Examiner evaluating patent applications for electromagnetic devices at the Swiss Patent Office. -He received the 1921 Nobel Prize in Physics "for his services to Theoretical Physics, and especially for his discovery of the law of the photoelectric effect. -Einstein published more than 300 scientific and over 150 non-scientific works. - The founding of relativistic cosmology. - The prediction of the deflection of light by gravity. - The quantum theory of atomic motion in solids. - The zero-point energy concept. 10 Strange Facts About Einstein. Google has started promoting their Adwords in India. They are sending promotion codes for creating new adWords account. This free coupon will allow the user to run campaign worth around 2500 rupees. And, even they are making calls to the customers and helping them to setup adWord account, running campaigns and tuning keywords to get maximum quality score. The customer support can take control of the users' adWord account to setup & run campaigns if the user gives "client manager" access for them. - AdWord is PPC (PayPerClick)advertisement program run by Google. i-e advertiser will pay only if the user clicks the advertisement. - The advertiser can easily create campaigns targeting with specific budget and region. - Campaigns can have several adGroups which can have multipe ads and Keywords. - Keywords can be easily added/managed using Keyword tool. Even we can get automatic keyword suggestions from AdWords. - By setting proper Keywords we can improve QualityScore which will help to reduce the ad cost. - Adwords can be integrated with Google analytics. - The Ads will appear in Google search result page and also in their content network as AdSense Ads. -We can track the conversion by putting conversion tracking code in our target webpage. Even we can specify the budget by targeting conversion also. Most of the websites will require the users to register them for getting username/password which can be used for logging into their website. It is very common that the users forget their password. So, the websites should allow the users to receive their password into their email using forgot password link available in the login page. Find below the sample php code which can be used for implementing the forgot password feature. $header = 'From: info@qualitypointtech.net' . "\r\n" . 'Reply-To: info@qualitypointtech.net' . "\r\n" . //add code for selecting $userid and $pass for user table for the input $email_to. 1. First provide a form with input text box with name "email" for allowing the user to enter his email id. 2. On submitting this form, the "email" will be posted to the php page mail-password.php. 4. Validate the email id. 5. Prepare the email message and send it using php mail() function. Few months back I have released draft version of ebooks for learning Software Testing and QTP automation. Now we have provided a sales page for easily buying it online. You can safely buy thro' paypal. For further details refer our new website. Recently, in one of our project we have faced some difficulty in executing a windows/shell program from VC++ application. Previously we used shellexecute () for calling a windows .exe file (e.g cmd.exe with some parameters) from VC++. But next step after calling shellexecute() started to begin its execution before the shell execution completes. It created some mess-ups. We came to know that WaitForSingleObject can be used for synchronizing the execution. But we have to use shellexecuteex () instead of shellexecute (). And, syntax of shellexecuteex () will be different from shellexecute (). //wait until a file is finished with working or the user closed it. // another way of saying freez the program until one.exe is closed. Industry leaders Google, PayPal, Equifax, VeriSign, Verizon, CA, and Booz Allen Hamilton today announced at the RSA Conference 2010 the formation of the Open Identity Exchange (OIX) , a non-profit organization dedicated to building trust in the exchange of online identity credentials across public and private sectors. This will save you from creating different accounts in several websites. So, we need to remember all different usernames and passwords. The U.S. Government Information and Credential Access Management Committee has approved the OIX as a Trust Framework Provider. 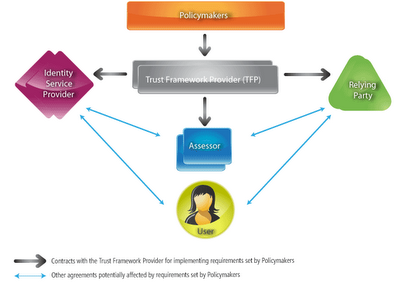 You can read this article to know about What is Trust Framework. PayPal has posted below message it its blog post. In this digital era we’re living in, consumers should have ultimate control over their personal information and online identity. This is why a multichannel trust framework is so critically important. It will allow everyday citizens to maintain their privacy while conducting everyday activities online — things like posting comments on government Web sites and making purchases on their favorite online shops. We here at PayPal are proud to be part of the team shaping how this structure facilitates trusted interactions and transactions. Google has posted about OIX as below in its blog post. Google's identity, security, and privacy specifications have been certified so that a user can register and log in at U.S. government websites using their Google account login credentials. The National Institute of Health (NIH) is the first government website ready to accept such credentials, and we look forward to seeing other websites open up to certified identity providers so that users will have an easier and more secure time interacting with these resources. Verizon has stated as below about the formation of OIX. "As a leader in identity infrastructure, we are excited about the progress the OIX is making in creating a common set of process and protocols that will ultimately result in Internet users having a single user name and password to more securely access any site on the Web." FAQ section of the OIX site provides below details. -The Open Identity Exchange (OIX) is a non-profit corporation serving as an independent, neutral provider of certification trust frameworks for open identity technologies. -Google, PayPal, and Equifax are the first three OIX members to be certified for as identity providers at US ICAM LOA 1 (level of assurance 1). Verizon and VeriSign are currently in the certification process. -Canada, the UK, and France (FC2 consortium) all have projects investigating the use of open identity technologies and trust frameworks. -Trust communities can also be entirely private. -OIX welcomes governments, professional associations, non-profit networks, and other communities who want to develop their own trust frameworks. This idea of storing user name and password in a centralized place/database may be good idea. But it may increase the risk also, because compromising single password may affect all related websites. 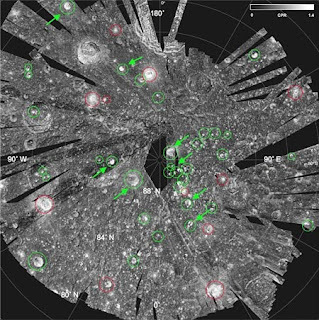 NASA has estimated around 1.3 trillion pounds (600 million metric tons) of water ice near the north pole of Moon by analyzing data from a NASA radar that flew aboard India's Chandrayaan-1 spacecraft. 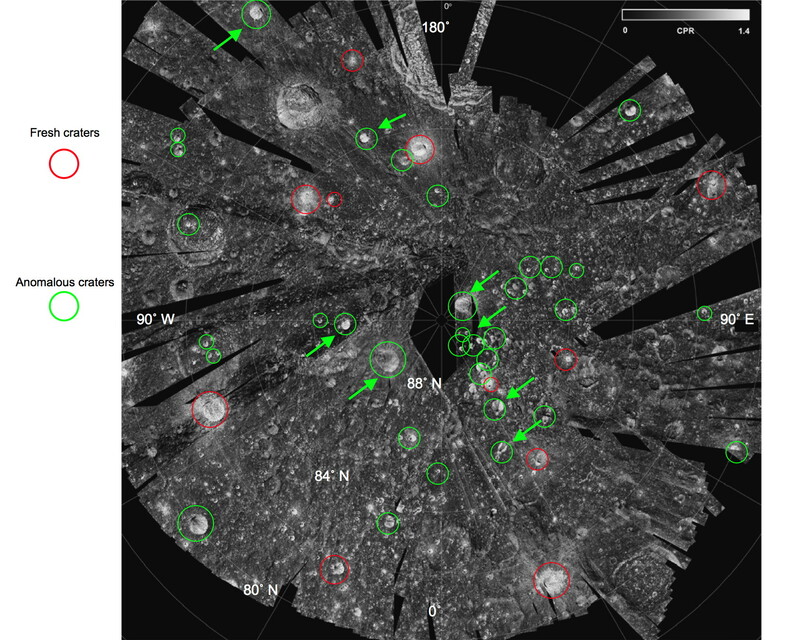 Find below the CPR map of north pole of the Moon. Need to enter purpose code for withdrawing money from PayPal to Indian Banks. As mentioned in previous post, PayPal has released new instructions for withdrawing money from PayPal to Indian Banks. According to the new instructions, Indian PayPal customers should enter Purpose Code while withdrawing money from PayPal to local Bank in India. The purpose code will vary according to the nature of income source. For complete list of purpose code you can refer the paypal blog. And, personal payments and donations to charity thro' paypal are blocked now. Many people are having a question about which purpose code should be entered if there is more than one type of income source?